Other ingredients include cellulose, stearic acid, cellulose gum, magnesium stearate, silicon dioxide and beta-carotene. 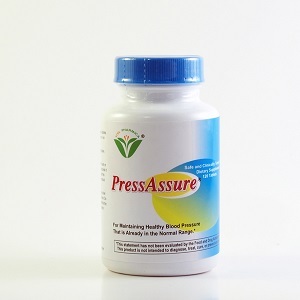 PressAssure is an advanced formula for maintaining healthy blood pressure. Pregnant or nursing women should consult a physician. Do not use this without consulting a physician. Do not change or discontinue medications without the consent of your doctor. Take 4 tablets every morning or as needed. From Miso soup, no less, for your heart. Venotone is is the second most commonly prescribed herb in Europe. Helps maintain healthy chi levels. Harness the power of "young blood." Helps maintain a balanced 5-element system. An enhanced classic Chinese formula.